10 ft. 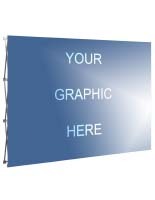 Wide Backdrop has a high resolution, four-panel graphic to help your booth stand out. Plastic carrying case (Included) protects entire display when not in use. Display is quickly set-up in about 10 minutes. This pop up exhibit display is surprisingly narrow. The unit is only 13" deep. 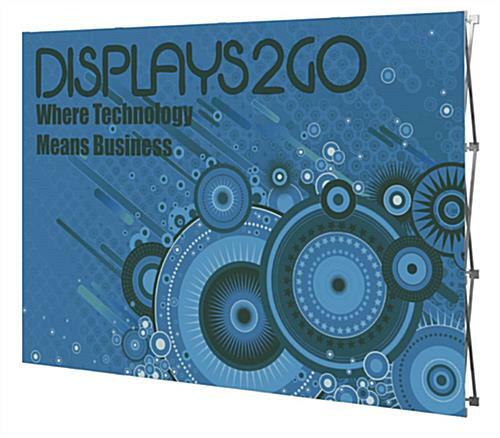 This portable exhibit display is a straight wall, which takes up less real estate in the trade show booth. 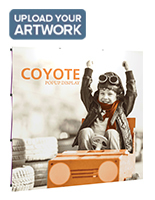 116"w x 88"h of photographic quality "lambda" printing makes for a stunning backdrop at any convention or expo. 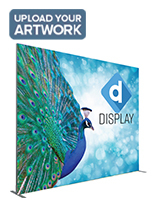 This portable exhibit display offers a wide canvass to work with. Despite the size, the backdrop is lightweight. 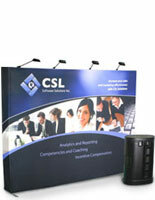 This 10' wide pop up exhibit display is light for easy carrying. Each unit includes the "TEPUCASE". The portable exhibit display case is made out of a durable plastic. There are wheels at the base for easy porting. This pop up exhibit display offers a fast set up time. 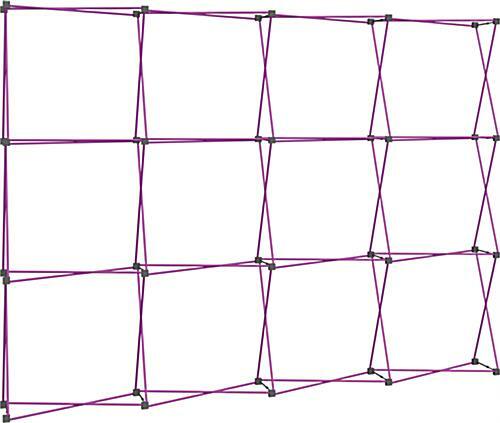 The backdrop panel uses a truss system to assemble. 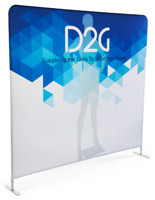 This portable exhibition display that stands 88"h opens to full size by connecting the magnetic ends of the metal support poles. 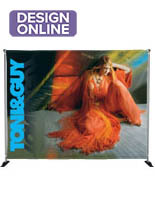 The high resolution panels are printed directly to 22mil PVC panels using UV cured inks with virtual 1200dpi resolution. 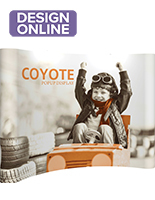 The pop up trade show display uses graphics that have a matte finish. These durable panels will not tunnel or separate from years of rolling, and do not require a laminate. 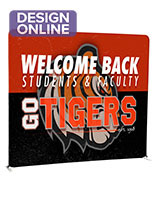 More portable exhibit products can fit your needs! 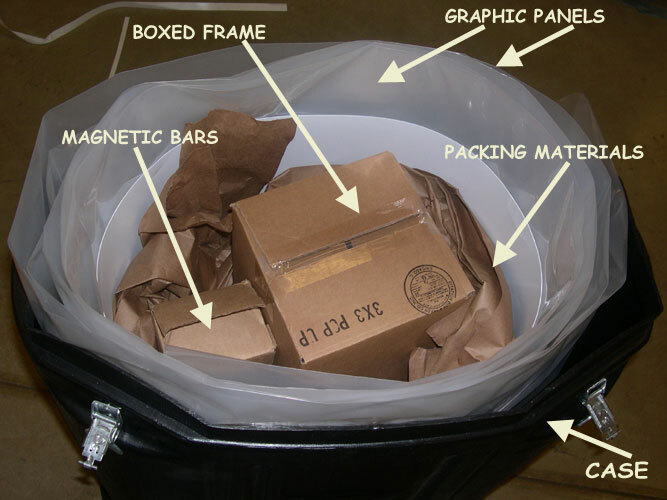 Click here to view how to properly repack your display. 116.0" x 91.0" x 13.0"
Purchased this product - no correct instructions were included. Came with parts that were not meant for it. Had difficultly assembling. Took 3 people and took well more than 10 minutes. The panels needed to be replaced due to some defects. That was taken care of - even though it took weeks to correct. . Now, after one use, the connector on the frame broke. And the panels have to be mounted with such care to avoid damaging them, that they are now not perfect in any way. This sign is high maintenance. We apologize that you had difficulty assembling your item, Sharon. We will have a representative from our customer care team reach out to you as soon as possible to address this. This banner is fantastic. It was very easy to set up and looks great. No issues at all.